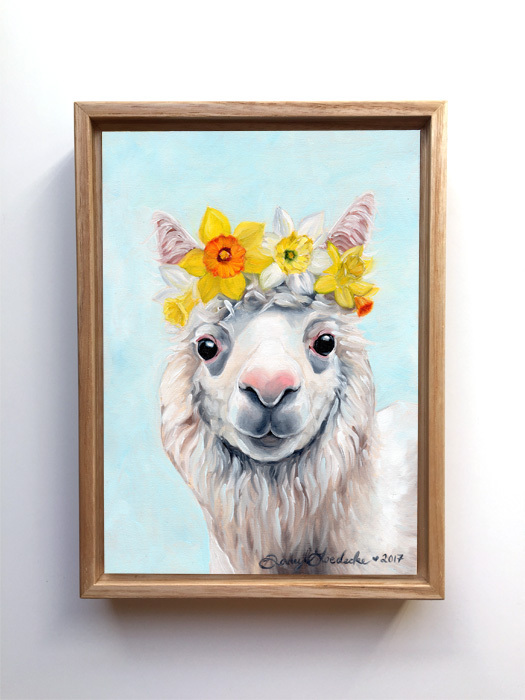 Original oil painting of a sweet, daffodil-adorned alpaca. This original oil painting is on an art board and has an archival varnish. Please display out of direct sunlight and away from moisture. Does not require glass protection. Please allow 5 days for shipping within the US. If there is a rush, please contact me and I can give you a more specific arrival date. This painting was part of my 30-day painting challenge I did in celebration of my 30th birthday. I made 30 paintings in 30 days in January 2017.